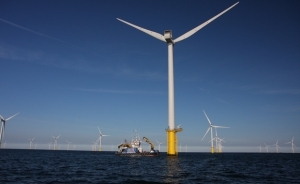 Shearwater has supported offshore renewable energy projects from the outset with landmark project successes in often difficult operating environments. The company was principle marine contractor for the installation of all subsea cables for the European Marine Energy Centre (EMEC) in Orkney and provided additional diving support to install steel cable protection at abrasive sections of seabed and where cables were ‘free-spanning’ and at risk of wear/damage. Working from a DSV in an exposed west coast location, Shearwater divers installed steel protective sleeves from shallow water LAT, to an offshore depth of 30msw with provision of a full ‘as left’ video inspection on completion. This project and all the required supporting works was delivered on schedule to our customers satisfaction and allowed EMEC to provide developers of wave and tidal technologies with a purpose-built, fully accredited open-sea testing facility, the first and only of its kind in the world.